Almost every major bank in Australia has either its own rewards program, or a points agreement with a major airline, or both. 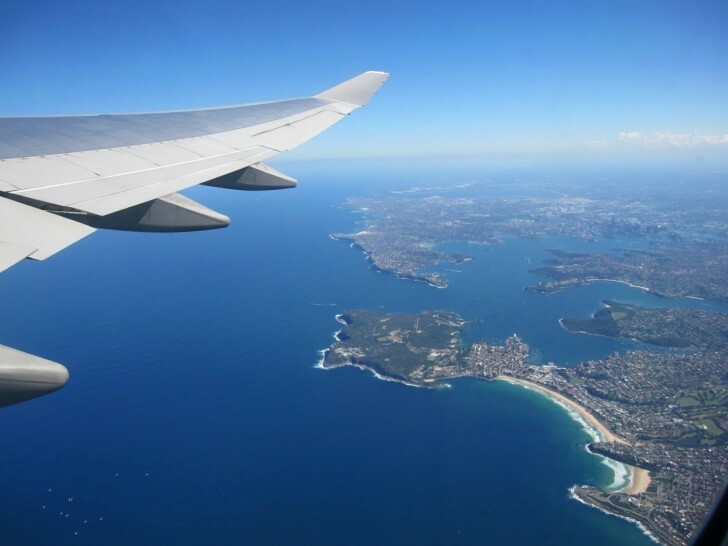 On one hand, for branded ‘direct-earn’ cards that link directly to the airlines, it’s fairly easy to find out what your earn rate will be, with these points going directly into your Qantas, Velocity or other airline points account. On the other hand, most banks try to use the headline points earn rate of their cards to attract your attention, adding complexity with different transfer rates for the points you earn to their different frequent flyer program partners. This where things get murky – you come to transfer your points out of a bank rewards program, and see that 1 bank rewards point may not equal 1 frequent flyer point. Here’s how to figure it out. Let’s look at some of the major rewards programs that aren’t specific to any particular airline, and see what the redemption rates are. When you see a ratio, the first number is how many reward points are required to transfer to that particular airline. As an example, ANZ Rewards to Velocity is 2:1. That means you’ll need to transfer 2 ANZ Rewards points for every Velocity point. Transfer 5000 ANZ points and you’ll get 2500 Velocity points. It’s important to know that the earn rates of all these products vary significantly, so, as always, do your own independent research. Another thing to note is that many have a minimum transfer rate as well. More on the differences between earn and redemption rates below. There also a calculator available to Point Hacks Community Members which allows you to calculate exact numbers of points to and from different programs, along with highlighting minimum transfer amounts. It’s also worth noting that this is not an exhaustive list, although does cover the major bank rewards programs in Australia. For ease of simplicity, these are ranked from 1:1 (best value) downward. I used to be part of a bank rewards program a few years back. A major bank was offering tens of thousands of bonus points to their program on new credit card signups. I dutifully signed up and received my points bounty, only to find the transfer rates to the airlines to be somewhat less than excellent. Suddenly all those bonus points didn’t seem so ‘bonus’. It’s not uncommon to see seemingly great deals, offering upwards of 3 points per dollar on some credit cards, only to find that those points are worth close to nothing when you go to spend them. Don’t get me wrong, these programs can be terrific if you’re unsure where you want to redeem, and no two rewards programs are the same, with many of them being quite good. One advantage of these programs is their flexibility around redemptions. They’re also great for easy regular rewards, such as Bunnings vouchers etc. But this isn’t Hardware Hacks, so we’re just going to concentrate on points redemptions. Product comparison for consumers becomes difficult with these cards linked to bank rewards programs, as many of these rewards programs have varying earn and transfer rates which confuses things. The earn rate relates to how many points you get for every dollar you spend, and can sometimes have little to do with the number of points you’ll get back from an airline when you finally decide to cash in and book a flight. Let’s say we’ve got a Visa card with XYZ bank and it links to their proprietary rewards program. So now after we’ve spent some money, we’re going to have some points in our account. Let’s say for arguments sake that we earn at a rate of 1.5 : 1. That means we earn 1.5 XYZ points for every dollar we spend. It does not mean we earn 1.5 frequent flyer points for every dollar spent. So let’s spend $10,000, and in return earn 15,000 XYZ reward points (10,000 x 1.5). So now we’ve got our 15,000 points, let’s redeem them. In this case, we need to transfer them to our airline of choice before we can use them. For the purposes of this fictitious exercise, I’m going to say that XYZ bank has a transfer rate of 2:1 for Velocity points, which is pretty standard as you can see from the table above. This means that 2 XYZ points are worth 1 Velocity point. So we transfer our 15,000 XYZ points to our Velocity account and end up with 7,500 points, which could get you from Sydney to Melbourne or Brisbane, one way. Using the above example, we find that after all is said and done, we’re earning 0.75 Velocity Points for every dollar we spend on our XYZ Credit Card, not the initial 1.5 we may have been led to believe. Many of the redemption rates can vary quite considerably from bank to bank, and some have differences just between their own products. Taking the earn rates into consideration, as well as any annual fees also confuses things more. Plenty of your own research is required if you’re planning on joining a bank’s reward program. We’re fans of American Express Membership Rewards at Point Hacks, with the simplicity of earn and transfer rates with 1 American Express Membership Rewards point mostly being equal to 1 frequent flyer point being one of the selling points of the program. It can be easy to be disctracted by big signup bonuses too, so be discerning when looking at all those bonus points on offer – you just might find that you think you’re getting a flight to London when you’d be lucky to make it to Lismore. Hi Keith. Given that a number of banks (ING, HSBC, Citibank etc) now offer 2%+ cash back on tap and go payments, should this be the first option for payment over even the best rewards cards (say an Amex Platinum Edge card when earning 3 points per dollar)? Not sure of the best way to compare the value of 2% cash back against 3 Amex points… Interested in your thoughts. I value 3 Membership Rewards points, at about 2c per point, at about 6c = 6% return. Personal value though. Another point regarding ANZ Reward points is that ANZ is making it tougher to earn their reward points from March 14th 2016. Currently the earn rate for my ANZ Black Rewards Visa Card is 2 ANZ Reward points for every $1 spent on the Visa Card. With the conversion rate to Velocity points of 2 ANZ Reward points gets you 1 Velocity point, it means I currently get 1 Velocity point for every dollar spent on the Visa Card. From March 14th 2016, ANZ are dropping the ANZ Reward points earn rate to just 1.25 ANZ Reward points for every dollar spent on the Visa Card. This is quite a big drop and means that I will soon only get 0.625 Velocity points for every dollar spent on the ANZ Black Visa card. Citibank Prestige Visa will be a better option going forward as their conversion rate is $1 spend = 2 Citi Rewards Points = 1 Velocity Point. If you’re really keen on points accumulation you could use a range of cards for different payments. We use the Amex Platinum Edge for supermarkets, petrol stations, and (when we’re scrambling for points) supermarket gift cards for expenditure at other stores. It’s 3 points per dollar spent that way. There is an annual fee which is offset by a complimentary Australian flight so it’s pretty well cost neutral for us. Then there are our Westpac Altitude Black Mastercard and Amex cards which are exempt from a steep annual fee with our home loan package. These linked cards give a reasonable complimentary overseas travel insurance (if you prepay $500 per person of travel costs) and offer automatic Australian car rental excess insurance. The Westpac Altitude Black Amex gives a 1.5 points earn to the dollar which is better than the 1 point per dollar from Amex Platinum Edge at most retail stores. The Westpac Altitude Black Mastercard gives 0.625 points per dollar which is better than nothing! It’s worth noting that the Amex Platinum Edge gives only 0.5 points per dollar for bills like council rates, telcos, electricity and gas and the Westpac Altitude cards offer no points at all if a bill is paid by BPay- so I use the Westpac cards and pay other bills either direct debit or online through the company portal (or through Post Bill Pay at the Australia Post portal). Some bills like our council rates I phone to pay (because their online payment fees are excessive). Sounds confusing? Of course. Worth it? We’ve been travelling overseas on points once or twice a year for the last three years now. Hey Sam – NAB don’t have a rewards program that’s linked to frequent flyer programs for transfers – their two cards are both ‘direct earn’ so there’s no discrepancy between the earn rate and redemption rates as with other banks. Good to see Lismore get a mention! That does indeed seem correct Ash. Your 300k ANZ points would be worth 150k Velocity or 100k Krisflyer. By transferring to KrisFlyer via Velocity at their rate of 1.35:1, then it looks like you’d actually end up with 111,111 KF miles, instead of 100,000. As always, check all those numbers thoroughly before pressing ‘go’!